Download and Listen to Episode 38 on SoundCloud or iTunes Now! seafood, and partake in wholesome fun. Essentially, the larger area is 20km or so of long, beautiful beaches, with condos dotted along the shore. In the last decade, many places have gone upmarket with well-healed, younger Thais opening up trendy shops, restaurants, and boutique resorts. For those wanting a quiet, relaxing, different Thai beach holiday, Hua Hin is a pretty solid bet. On this episode we’re going to share our favorite things to do if you have three nights in Hua Hin! Generally speaking, however, Hua Hin is really about relaxing: it’s the family-friendly getaway for Bangkokians, many of whom have condos or second homes in the area. Think of it as the Hamptons of Bangkok. We’re going to chat and share some of our favorite things from the area, after spending a couple weeks down here recently, and we’re actually recording from Hua Hin now! Scott and Trevor then talk about the geography of the area – how it’s really Cha Am, Hua Hin, Pranburi, collectively a long, 50km or so stretch of lovely coast line, with flat, long beaches, condos, etc. There’s something here for everyone – from lovers of quiet beaches, to golfers, foodies, market lovers, and kite surfers. Note that the sea isn’t that tropical aqua blue you see in the postcards: instead it’s darker green in color and sometimes there are some jellyfish. It’s not home to the very best beaches in Thailand. Water sports: The ocean here is quite tame, so no surfing, though kite surfing is quite popular in the area. You can rent kayaks, jet-skiis and the like as well. It’s mostly families and groups of friends zipping about on the back of a banana boat, laughing, and trying not to fall off. While these motorized water sports are possible, Scott always thinks it’s not a good idea to promote these noise polluting options and have more natural fun. Kite Surfing: Kite surfing has really taken off all along the coast from Cha Am, just north of Hua Hin, to Pranburi, just south of the city. Many operators rent equipment, but you’re going to have to take some courses to ideally get the hang of things. It’s reported that you can get the gist of it in three-days, but a local contact who kite surfs says you’re going to need more like a week to get confident. It sure looks fun and is also neat to watch the many kites along the shore on a windy day. They can catch some great air and do some really neat things. Waterparks: There are several around Hua Hin now, but the new one Vana Nava, is great fun: has the best waterslides in Thailand as well as a flowrider and a big climbing wall and ropes course. It’s a bit pricey though at about US$35 for a day, but hey, how often can you have big fun like this on slides!? Super fun. Black Mountain has a golf course, but apparently the wake boarding park is the most fun option up there and is the best of the several wakeboard options in the area. The Black Mountain Wakeboard Park is a cable-operated system that pulls riders at 30 kilometres an hour and can accommodate up to eight wakeboarders at one time. The 800-meter-long area features two jumps and two sliders that provide a full opportunity for participants to practice and show off their skills. Golf is obviously huge with at least a half-dozen courses within a 30-minute drive of the city. Picture lush tropical scenery, with small rolling foothills in the distance. It’s really an ideal location to golf. It’s easy to book and arrange your own round and there are also a lot of companies that will make the bookings, drive you to/from the course and handle everything. Best to hit an early or sundown round due to the heat! The Royal Hua Hin was Thailand’s first golf course, opened back in 1924: it’s still one of the most popular in the area. Hua Hin Hills Vineyard tours: About an hour inland from Hua Hin in a big beautiful valley, the Hua Hin Hills Vineyard is a great daytrip option. Set on 272 rai of land, the vineyard can be explored by jeep, mountain bike, or elephant back. For those who haven’t ridden an elephant it’s a good experience, otherwise, the bike option is fun and interesting as there are informative signs around the grounds. With the guide however, you can even nibble on some grapes in the experimental greenhouse. Maruekhathaiyawan Palace was built in 1923, is entirely made of wood and was the seaside retreat of Rama VI until his death in 1925. It’s between Hua Hin and Cha Am to the north and a really lovely example of a wooden palace if you’re interested. It’s about 60B to get in and worth a stroll and look at the beach here as well. Note that it’s not open Wednesday and you need to wear pants and cover properly – no beach clothes gear here! Klai Kangwol Palace: Official residence of the King, built in 1928 by Rama VII who bestowed the name on it, meaning “Far from Worries”. While, as residence of the reigning monarch, you cannot visit this palace, there are actually several former royal residences to the north, in and around Petchaburi, that you can visit. Hua Hin Railway Station: With the building of Klai Kangwol Palace in the early 1900s, the train became more popular and the station here is really charming. Mostly made of wood, it’s been lovingly cared for, is very unique, and well worth a look. 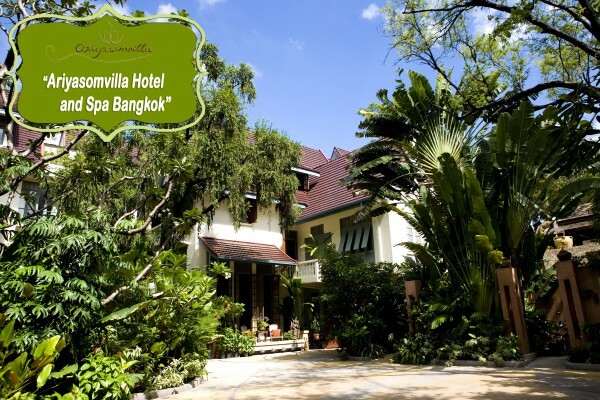 Sofitel Central Hua Hin Resort: a magnificent Victorian-style colonial building, that was a stand-in for the hotel in Phnom Penh in the film The Killing Fields. Great gardens. Takiab Beach, 4km south of Hua Hin has a nice, quieter beach than Hua Hin’s. There is horse riding, you can do a short climb to a temple at southern end of ‘chopsticks’ beach – there is standing buddha image at the base of the hill and some restaurants with a nice view at the top. You can get here by songthaew, or walk about 6km from the Hilton all the way down. You can actually have a nice drink or bite to eat at sundown here and take a ride back. The stretch of beach is fantastic at low tide and is almost 6km long! One beach further south is Khao Tao beach, which is just shy of 5km, it’s easier to walk on than Ta Kieb as the tide doesn’t come in as far and it’s ever more quiet! At the northern end there are some restaurants and such, but walk a few hundred meters and it’s very, very quiet. A great spot to walk or throw down a beach mat and chill for a good few hours. On that note, it’s a good idea to buy a folding beach mat early in your stay. They’re easy to transport and provide a nice base to sit on. Consider picking up some sticky rice, grilled chicken, fried rice, and take it along with you to a beach for a day. Sam Roi Yot National Park is about 50km south of Hua Hin and while one of the country’s smaller parks, is rather charming. It uniquely is a marine and mountain park, offering the best of both worlds. You have beaches, trekking, caves, monkeys, etc. Phraya Nakhon Cave is a very cool spot with a fantastic ‘sala’ inside a massive cave. You have to walk about 2km over a point to Laem Sala Beach and then about 1km up quite a steep path to the cave but it’s well worth it. Laem Sala Beach is gorgeous, there’s a small restaurant and you can also hire cabins from the national park service or camp. If you don’t want to walk over the point you can hire a boat to take you to/from for about $15US. There is a mountain climb you can do, walking about 30min up for a nice viewpoint at Khao Daeng and there are also mangrove river boat trips and kayaking here. Didn’t look super exciting but not a bad stop. The walkway on the west side of the park at Thung Sam Roi Yot is nice as well. While a little rickety, it’s Thailand’s largest marsh and if you visit at sundown, on your way back to Hua Hin, the light is amazing and you get stunning views of the limestone mountains against swamp. The park is 200B for foreigners and 20B for Thais, so best to make a good daytrip out of it. Pranburi, south of Hua Hin, is a pretty hip hangout nowadays for younger Thais. There are creative restaurants, hotels, and such, but it’s still very quiet. 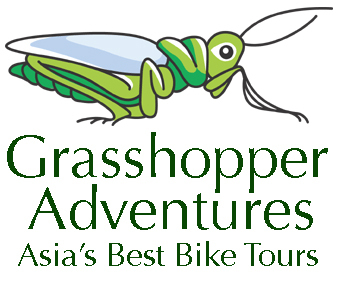 A good alternative if you’ve visited Hua Hin before, or want to keep it even quieter. Kaeng Krachang is about 90km northwest of Hua Hin and quiet a nice spot for a drive if you enjoy seeing the countryside. It’s in a national park, and is famous for being Thailand’s largest lake. It’s not the kind of lake you can just jump in for a swim, but there are some resorts out here and it’s quite nice. There are rolling hills, which further west become mountains at a bit over 1,000m along the Myanmar border. You can head inland to the west, on rough dirt roads and camp, best in the cool season (Dec-Feb), Phanoen Thung, but you need a four-wheel-drive. Good to rent a motorbike and enjoy the scenery, using Googlemaps to pick some quieter roads. New Irish Pub, Father Ted’s is getting good reviews for western food and pints. Buffalo Bill’s gets decent reviews from expats for some western food if you find you’re in need of a fix. The Bintabaht Burger is rather tasty. For 145B fully loaded with egg, cheese, bacon and an egg, it’s pretty decent. They start from about 9pm on Soi Bintabaht, about 100m in from the Hilton hotel. This street also is Hua Hin’s ‘entertainment’ area and you can always find someone to chat with, have a game of pool, listen to music, etc. There are reports of good seafood and Thai food at Meekaruna, which is right along the pier in Hua Hin town. There are lots of seafood places here, some get better reviews than others, but you likely can’t go too wrong enjoying a meal here. Maybe a bit pricey but fresh seafood in a seaside atmosphere. Apparently the steaks at Sound Library are top notch, but Scott and Trevor haven’t gotten a chance to try them yet. But the owner, Pook is a band called the Sticky Rice that plays great reggae, they make some mean cocktails, and, as Scott knows well, they have Beer Lao dark. There are some neat bars, shops, burger stands, and such opening around the city. A notable spot is Sound Library, which we went to the other night. They also have steaks on offer which the owner claims are very popular which doesn’t seem to fit the spot but I’ll have to give it a shot. He has the longest dreadlocks we have ever seen and is an extremely nice guy! His shop and some other neat ones are on Hua Hin soi 51. Bintabaht which was mentioned above. Do keep in mind that many of the bars here have working girls working at them, so ensure you’re okay with that sort of environment. You shouldn’t come to such a nice area to shop, but if you must, there’s the modern Market Village with a movie theater and bowling alley. There’s a ‘Walking Street’ market and created ‘Hua Hin Floating Market’, which is about 10km southwest of the city. Cicada Market, near to the Hyatt at Ta Kieb is a very nice, modern night market one Friday and Saturday nights, sometimes Sundays. Very creative stalls selling neat items, a great outdoor food area which you can order from street-style stalls, a live music venue, theater, etc. Well worth a visit for dinner at least once during your trip. Hua Hin Night Bazaar is between Soi 70-72 and is in full swing every night. Goods for sale, seafood, etc. Pretty typical evening market but worth a stroll one night and perhaps hit some food on the nearby streets. There is also Chatchai Street Market: 5pm -11pm daily along Dechanuchit St. Plearn Wan is like a living museum where you can experience a slice of life in 1950s Hua Hin. The two-storey courtyard building houses a community of period-style shops, a food court, an outdoor cinema screen and a 20-room guesthouse. The collection of one-off souvenirs and fashion accessories is quite impressive – even if you don’t buy anything, it makes for quite a pleasurable look around. 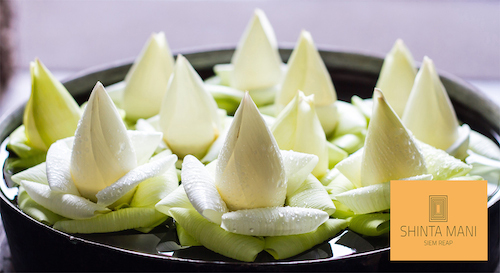 Chiva-som is world class for health and wellness retreats. Celebrities and others come here time and time again. There are all kinds of small boutique hotels along the coast. Big brand favorites like the Hyatt, Intercontinental, Marriott, Amari, Ibis, etc. Serviced apartments abound and can be good value. Thai developer Sansiri have some good options. From $10/night to thousands, there’s an option for everyone here. Trevor likes Fulay Guesthouse, which is on a pier in the center of town, above the water! Anantara and Aleenta are great options, respectively north and south of central Hua Hin. Train – it takes just shy of five hours from Bangkok, but is a pretty nice way to travel. The scenery is alright, the seats reasonably comfy, you can read, and watch it all go by. Plus leaving from Bangkok the trains are pretty much on time. Note that if coming back from Hua Hin, most trains leave in the middle of the night and they tend to be late as they’ve been traveling for a long time, coming from Thailand’s deep south. Buses leave and arrive at Bangkok’s Southern bus terminal, hourly, but that terminal leaves you a bit further afield from Bangkok itself and you still need to take a taxi ride into town. There is a new bus service which is express, takes about three-and-a-half hours, and goes from Hua Hin to Bangkok’s Suvarnabhumi Airport. This is a great option for those wanting to take a flight or get off a flight and head straight down. As of January 2016 there are no flights, although there is a service that is rumored to be running or running soon, from Pattaya to Hua Hin, which would really cut down the 5-6 hour drive of this route. To hear Scott and Trevor’s itineraries for Spending Three Nights in Hua Hin, Download and Listen to Episode 38 on SoundCloud or iTunes Now! Beervana is a Asia’s premier craft beer distributor: importing and distributing tasty American ales and other craft beers from around the world. Now distributing to well over 300 venues in Thailand along with a few outlets in Vietnam, Beervana is about to expand into Indonesia. Looking for some home beer delivery? Well, you can download the Beer Me smartphone app that can give you info on beer related events, help you find a nearby location to have a craft beer, and through the craft beer club get home beer delivery. Visit their website and join the Craft Beer Club or download the BeerMe app on iTunes now!